This species is esteemed for its ease of growth and tolerance of a wide range of soils and conditions. 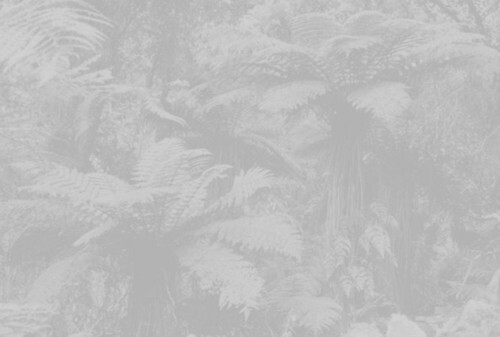 The fronds may reach up to 8' long and are covered in very dark scales, and the trunk grows to about 12' high. 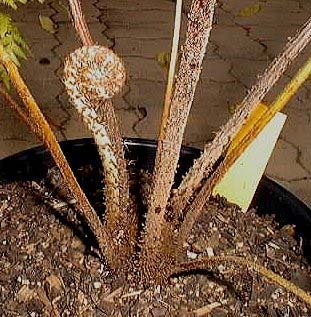 It is related to Cyathea australis, but is probably somewhat less cold-hardy (guessing 26°F), and must be kept well-watered for it to look good. A native of moist forests in northeast Queensland, Australia. 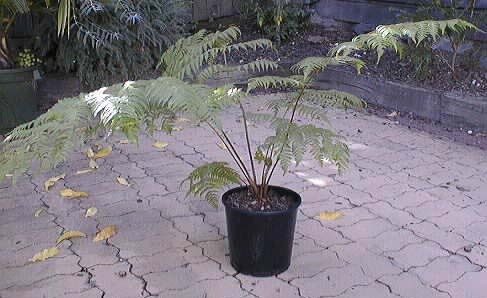 A young plant of Cyathea woolsiana. Photo courtesy of Scott Ridges. Uncurling crozier of Cyathea woolsiana. Photo courtesy of Scott Ridges.